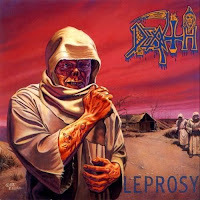 After the first quite underrated, but lately very successful "Scream Bloody Gore", soon the second Death album came out. 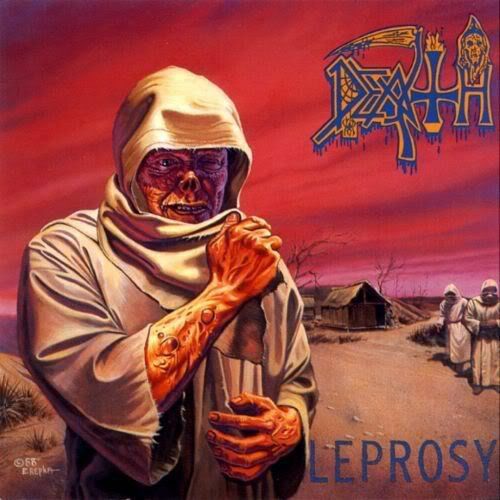 "Leprosy" overmounted the first album in the brutality of the music and it's sound as well, and became probably the most important record of the death metal genre. "Leprosy" defines all features of this style. After the previous albums putrid, echoing sound they had a brutal powerup by Morrisound studios. So wild, powerful and effective sound could be rarely found. The song's structure was fixed, which became the basic feature of Chuck Schuldiner's music lately. The same song structure could be heard on all Death albums in the followings. The lyrics stepped a bit forward from the world of horror, or better to say they tried to reach the horror from reailty. This approach is not through zombies or other vile supernatural creatures, but the most shocking and hideous aspects of life, and because of that these lyrics are far more sick than the usual fantasy based death metal topics. The total of these features made this album a timeless classic.